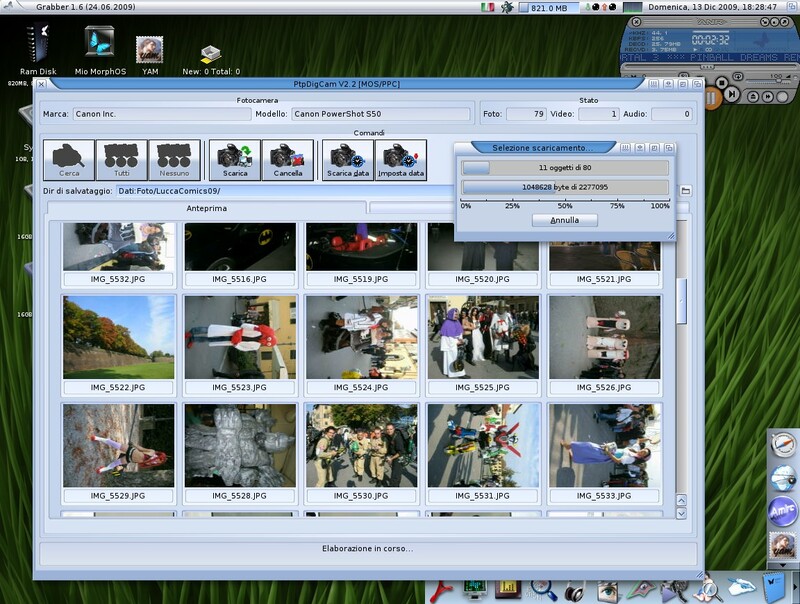 Description: A MUI based application allowing to download and delete images, videos and sounds from PTP compliant digital camera (Kodak, Canon, Sony, etc...). Copy the program drawer or/and files anywhere. PtpDigCam can be launched from Ambient or Shell. - Set the device current time with computer one. program documentation for details about devices capabilities. must be sent for problem analyse.